Tooth Decay is one of the biggest challenges that our society faces. It is an epidemic that affects everybody. It crosses all ages, racial lines, and socioeconomic levels. Tooth Decay doesn’t really care who you are. It is important that parents are aware of the both the causes and the preventive steps of children’s tooth decay. Sugar is prevalent in our society. One common misconception is that candy is the only thing that exposes children to sugar. However, sugar is in juice, sports drinks, and almost all packaged food. This explains why some children may brush twice a day and not eat candy yet still have cavities. One way to combat tooth decay is to monitor how often your child is exposed to sugar. How often children are exposed to sugar matters more than how much sugar they actually have. For example, taking one sip of soda can have the same effect in your mouth as drinking the whole 32 ounces. Children and adults alike are often grazers, meaning that they eat snacks regularly throughout the day. Reducing the amount of times your children are exposed to sugar can help reduce cavities and tooth decay. 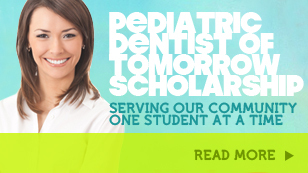 It is also extremely important to see a Pediatric Dentist on a regular basis. At Smile Reef,Dr. Jaren Jensen has been trained to specifically handle children’s teeth. Dr. Jensen will help your children feel comfortable and prevent major problems from occurring.